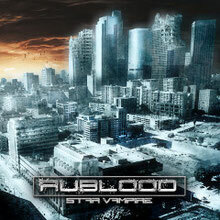 RUBLOOD will release their debut album "Star Vampire" through Bakerteam Records on October 28th 2013. 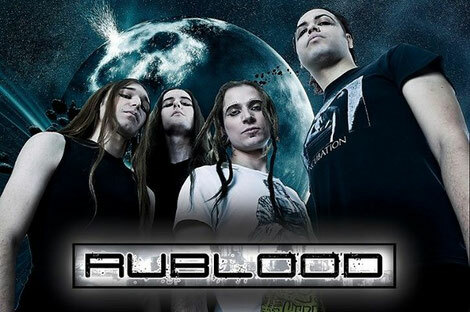 RUBLOOD is an Italian industrial metal band, has risen from the ashes of the band Dark Star, dedicated to gothic metal. The disbandment leads the singer Ruben Roll to find new musicians who can create a style aimed towards contemporary and innovative sounds with him together. Inspired by the atmospheric sounds of bands such as Rammstein, Depeche Mode, Joy Division and Deathstars, Rublood soon developed a very distinctive personality, mixing heavy riffs, dark atmospheres and poetic lyrics with strong visuals. When they perform on stage, Rublood delights their audience with a magnificent gothic show, and allowed them to be noticed by the producers of Warner Bros film ‘Studio Illegale’. The band performing their breakthrough song ”Through The Looking-Glass" appears in the film, and also has been chosen as the first single of their debut album "Star Vampire". A video for the same song will also be released soon.